We’ve been thrilled to see the works of many passionate professionals in different genres at Photo London 2017. We got particularly fascinated by the images from the astrophotography section and decided to find the photographers who would help make our readers familiar with their craft. 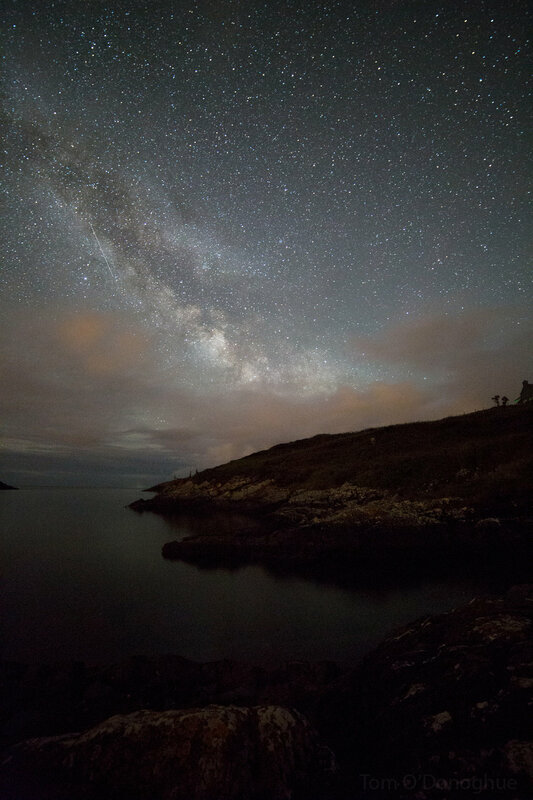 Our first hero is Tom O’Donoghue from Ireland, an astrophotographer with multiple international award and a vast experience in his field, who is truly devoted to his art. We’ve talked with Tom about the process and technical side of taking complex images of space objects, his inspirations and personal achievements. 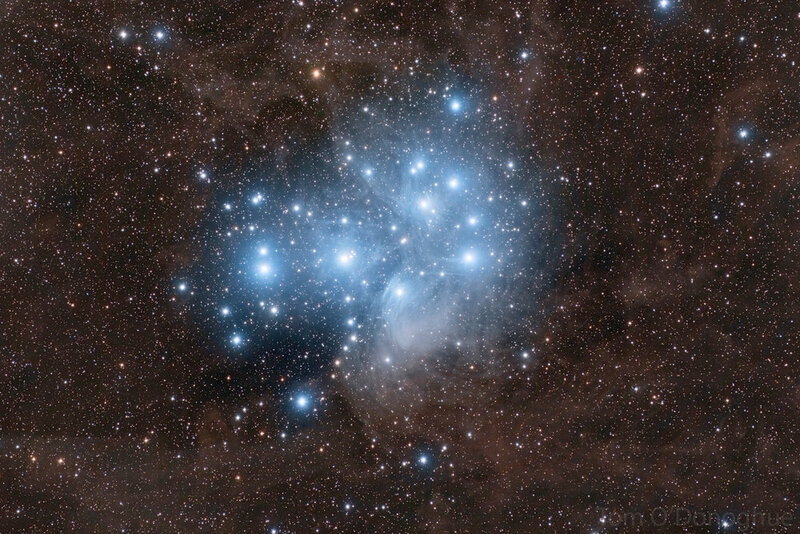 How did you become an astrophotographer? While I was interested in astronomy as a teenager, I did not become an astrophotographer until I bought my first telescope and camera over 10 years ago. It was a long focal length Schmidt Cassegrain, one which uses mirrors. My first photos were of the moon and planets using a web camera. There was new software available to split the videos into single frames. From here you could select the best to stack into a single image for the best sharpness, contrast and image quality. This was the slow and steady beginning, which has now accelerated to multiple forms of astrophotography, with different equipment set ups, and from different locations. What kind of equipment does it demand and what stages does the process involve? Could you describe in simple words for non-technical minds? I quickly learned that no single telescope, and camera could operate at its best for high resolution planetary images, and widefield long exposures on my budget. Deep sky astrophotography involves taking pictures of galaxies and nebulae that are very faint, and at such a long distance that very long exposures are needed to capture their light. I decided to buy a refractor telescope, one that uses lens rather than mirrors, and couple that with a CCD camera. This is a cooled camera, and a PC or a laptop is required to run it. In deep sky photography the cooled imaging chip is the king, as shooting dim skies can cause a lot of noise in the images. The cooling of the chip helps to negate this noise. Do you need to travel far for you pictures? It depends on what type of image I’m trying to capture. For my deep sky works I travel to the South of France where my telescopes are located. Here I can get many nights of work with the multitude of clear nights. This allows me to get hours and hours of data for each image. The more hours of data, the more photons I capture – the better the data to work with in processing. We do get the Northern Lights in Ireland when there is a strong outburst, so that is a bonus to living at 53 degrees North. However I have travelled to Norway and Iceland for Aurora photography, where the lights can be seen about 250 nights a year, and they appear more overhead, due to their higher latitude of Northern Europe. In Ireland we have a stunning West coast. Recently I have been travelling more in Ireland, scouting out locations for Milky Way photos, with beautiful and interesting foreground scenes. These generally are weekend trips with maybe 10 hours of driving. Do your family and friends support you in what you do? Yes, they do. Despite them sometimes thinking I’m a bit eccentric, out in the depths of night wandering around, but they do see the beauty in the Deep Sky, Aurora and Milky Way shots that I take. I’m always trying to convince them to join me on some trips, at home and abroad. What kind of obstacles and opportunities does an astrophotographer face? Opportunities are few and far between. There are International Astrophoto competitions, which help raise your profile, as well as NASA's APOD (Astronomy Photo Of the Day). There are lots of camera clubs and astronomy festivals to give talks to, and to pass on your knowledge and help those who want to try this style of photography. Teaching, inspiring others and displaying your own work is very rewarding. Obstacles are mainly in the form of trying to take the photographs in the first place. From cloudy weather, to equipment failures, to poor conditions. Once the photos are complete, one difficulty is crossing over to the public domain where trying to emphasise that the photo on display, be it the 400 hour Orion photo, is not just a matter of going out one night, holding the camera in your hand and pressing the shutter. It can be hard to explain the techniques, level of difficulty, and skills needed to produce the image on show. What do you consider your personal achievement in astrophotography? I’ve been lucky to win 4 international awards and run two exhibitions of my work, but my personal achievement has to be deciding to go live the dream, and relocate to a dark site in the Spanish mountains for 3 years. While I was there on my own, and living isolated from general life, I was able to concentrate on working on multiple projects throughout the year. Do you have your personal favorite cosmic objects or structures? Through the eyepiece of a telescope, Saturn and Jupiter are phenomenal sights. The rings of Saturn and cloud bands of Jupiter are full of colour and details. They never cease to give me goosebumps. Shooting at a location, the Northern Lights are the best fun I’ve ever had. The sky changes so quickly and from different directions, that you are constantly switching views and positions to capture the dancing waves of light. In deep sky, I just love the blue reflection nebulae and dark nebulae. 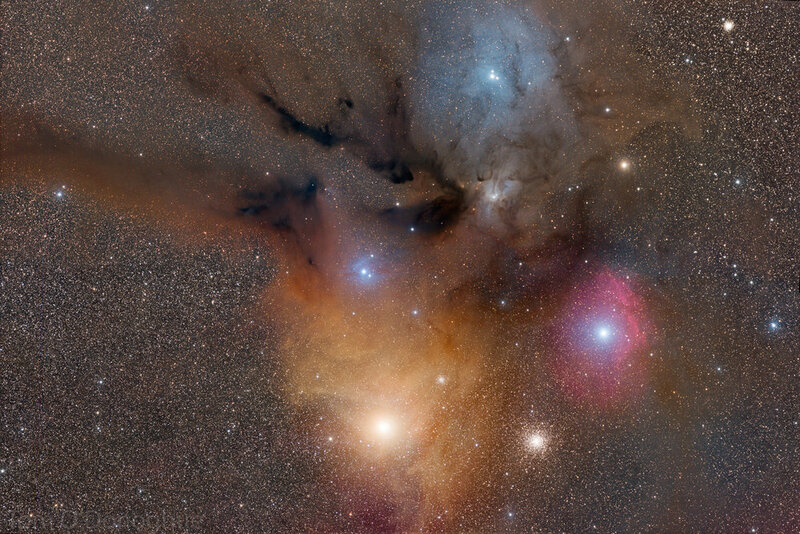 The blue reflection nebulae have a cyan hue that is striking against a black sky, while the dark nebulae cast shadows as they block out the light from the stars behind them. 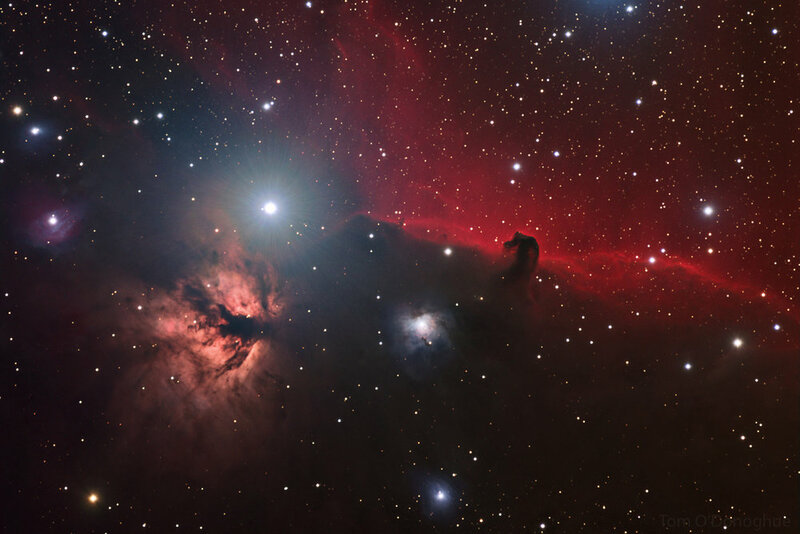 The Horsehead nebula is the most famous and most photographed of these. What do you recommend to those who might want to start their way into astrophotography? For those that want to start, I would say start with a static tripod, and a DSLR taking shots of the Milky Way from scenic locations. If you have a telescope, you can attach your camera to it with a simple adaptor. Then you start taking shots of the Moon, and even the Sun, if you have the proper Solar filters. Join a local Astronomy club to learn more about what is in the sky, and to gain more tips and experience from other astrophotographers.